A FORTNIGHT OF FRIGHT: A two-week long Halloween celebration! 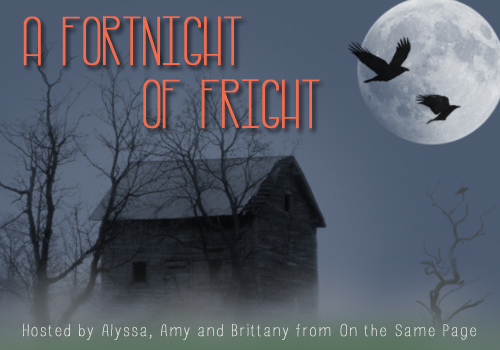 A Fortnight of Fright began back in 2012 when Alyssa from Books Take You Places and I bonded over our love for Halloween in very similar and yet very different ways. We wanted to put together a blog event to celebrate one of the best holidays of the year so we came up with A Fortnight of Fright! Basically, it’s a two-week long event about anything and everything Halloween — some with a focus on books, but not everything — and we post some of our favorites as well as ask other bloggers and authors to guest post on our blogs throughout those two weeks! Starting in 2014, we brought in Amy from Tripping Over Books since we became an inseparable trifecta of bloggers and made it officially under our group name, On the Same Page! We’ve had so much fun bringing you this event for the past few years! Check out some of the past posts that have been hosted on my blog below! I'm a Sleepy Hollow Fangirl!